Build your trusted profile, claim your digital credentials and land your dream job with Aversafe. Rise to the top of the candidate list with verified digital credentials. Protect yourself against unfair competition from exaggerated resumes and forged certificates. Set up your Aversafe profile and claim your credentials from trusted certificate issuers, employers and peers. Pre-verified information builds trust with future employers and dramatically reduces your time to hire. With Aversafe’s simple signing tool you can share your data with trusted third-parties on-the-fly. 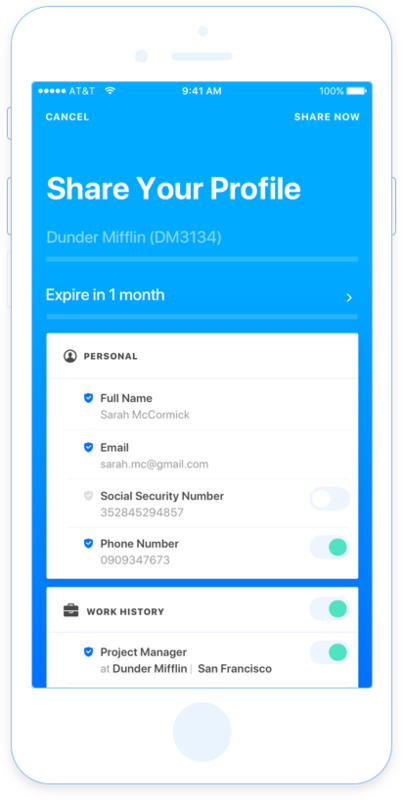 Aversafe lets you store and manage your personal information, work history, and professional certificates from your own secure handheld device, safeguarding your data from breaches and abuse. Aversafe will always let you decide when, where and with whom you want to share your valuable personal information. Every action on the Aversafe network is completely voluntary, so you can finally reclaim your digital you. 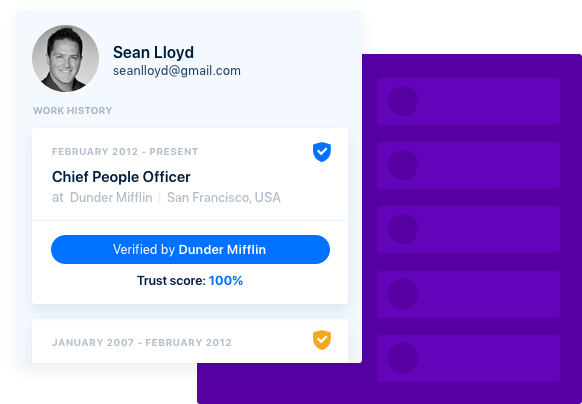 Verify a friend or former coworker’s credential claims or request verification of your own accomplishments as well. Peer-to-peer verifications improve your Trust Score while making the network stronger for everyone. Is my data safe? Can I revoke access to my data? What happens if my data changes? What if my university or employer doesn’t use Aversafe?